1) In the Backstage View, select Advanced Settings => Codes. 2) Click the Next Codes button and set your custom number. 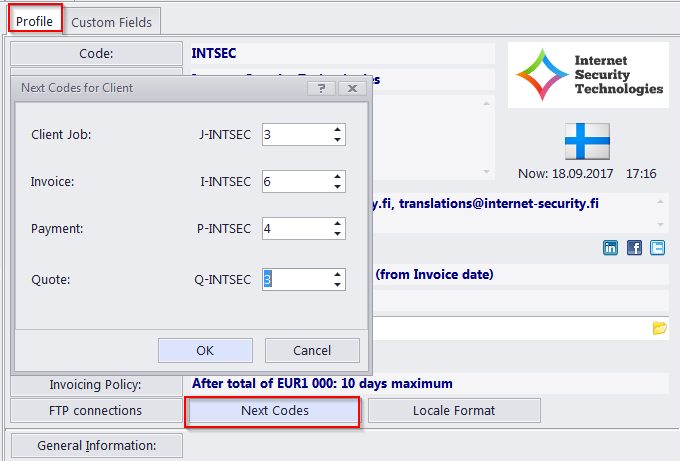 You have to set next codes for Quotes, Client Jobs, Invoices and Payments as well, if you want them to start from your custom number as well. 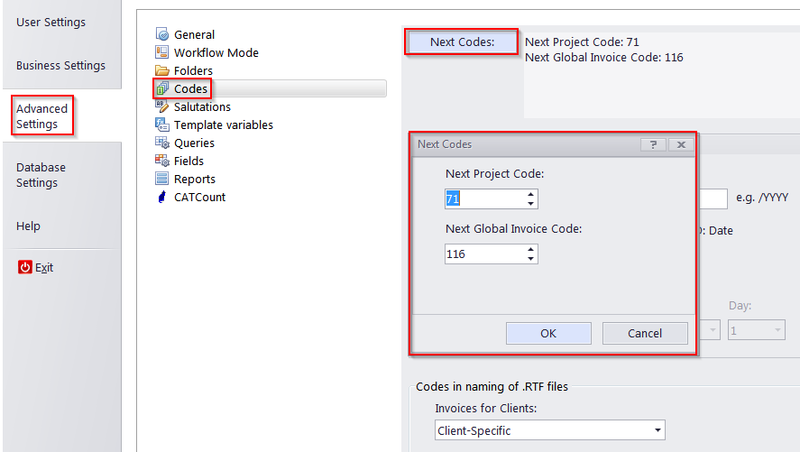 You have to perform this for each client by clicking the Next Codes button on the Client Profile tab.